415 pages | 23 B/W Illus. One in six couples around the world experience infertility. Before undertaking expensive and intrusive assisted reproductive treatment such as in vitro fertilization, many seek advice from their physicians or dietitians on what foods and supplements might enhance their fertility. But health practitioners are often ill equipped to provide dietary recommendations in a scientifically based manner. Nutrition, Fertility, and Human Reproductive Function provides a comprehensive guide to clinicians on how they can best advise their patients to optimise fertility and reproductive function through optimal nutrition. 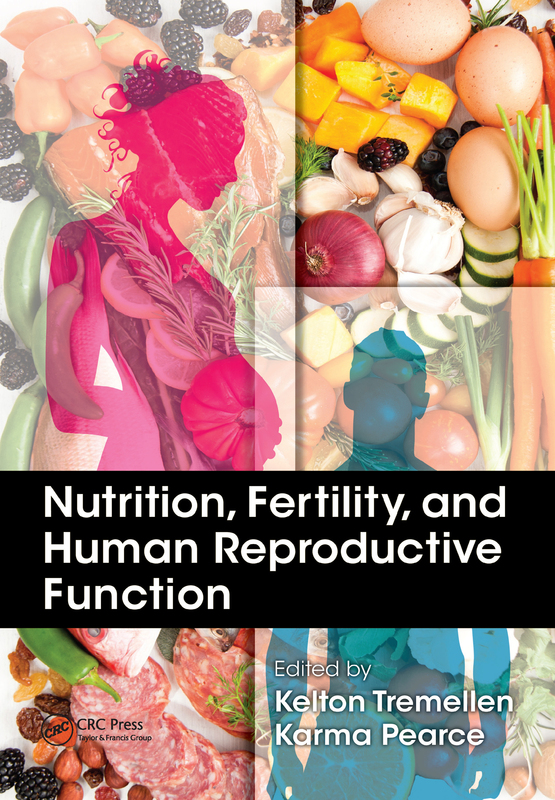 Taking a holistic or "whole-of-life" approach, the book reviews the role of nutrition in human fertility and explores its effect on male and female reproductive physiology. Problem-orientated topics are arranged in chapters that each cover a specific clinical topic of interest, allowing easy reference by the practicing clinician. From the female perspective, the book covers the role of nutrition on essential reproductive processes such as ovulation, early embryo development, implantation, and sexual function, together with nutrition’s influence on the duration of the reproductive life span. In the male context, it examines the effect of nutrition on hormone and sperm production as well as sexual function. The book also includes information on evidence-based complementary health approaches such as Traditional Chinese Medicine (TCM) and naturopathy. This book draws on the wide experience of several respected leaders in clinical nutrition who combine research expertise with clinical insight. The information contained herein will enable clinicians to make the best recommendations for their patients for optimising fertility. Maternal Nutrition and Its Influence on the Health of the Next Generation: The "Developmental Origins Hypothesis"
Kelton Tremellen is a professor of reproductive medicine at Flinders University and a clinical director at a private reproductive medicine unit in Adelaide, South Australia. His research interests include male infertility, recurrent miscarriage, and diminished ovarian reserve, with a key focus being on the role that nutrition plays in reproduction. Dr. Tremellen is the inventor of Menevit®, a novel fertility supplement marketed for improving sperm health in Australia and New Zealand by Bayer Consumer Care. Dr. Tremellen is also the author of numerous research articles and book chapters in the field of reproductive medicine and is a regular invited speaker at conferences on reproductive medicine. Karma Pearce is a senior lecturer in nutrition and food sciences, University of South Australia. She has an active research interest in the role of nutrition in both diabetes and reproduction. She has also researched and consulted with a number of disadvantaged minority groups in both Australia and India on the role of nutrition and health literacy in improving population health outcomes. She has authored several research papers on these subjects.